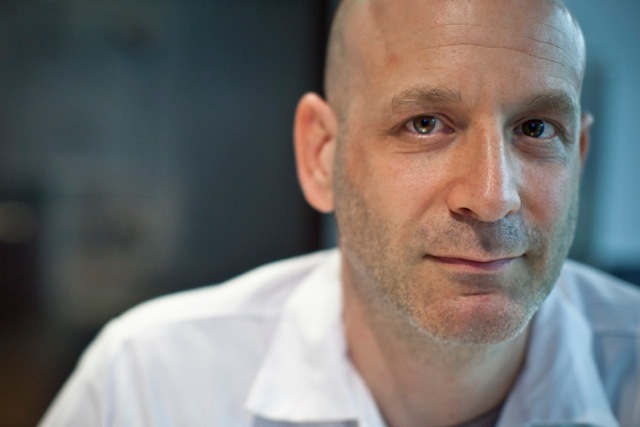 Marc Vetri is the chef/founder of Philadelphia’s critically acclaimed Vetri Family of Restaurants. In addition to his storied career in the kitchen, Marc is also the driving force behind the Vetri Foundation for Children, a non-profit, charitable organization whose mission is to help kids experience the connection between healthy eating and healthy living. The Vetri Family’s third restaurant, Amis, opened its doors in 2010. Inspired by Rome’s neighborhood trattorias, this smaller but energetic restaurant specializes in small plates such as handcrafted pastas and house-cured meats. In November 2010, Bon Appetit named Amis one of the top “10 Places for Pasta” in the country. The opening of Amis also brought Chef Brad Spence in as a Vetri Family partner, and subsequently, he has been a two-time finalist for the James Beard Foundation’s “Best Chef Mid-Atlantic” award. Alla Spina, an Italian gastropub opened in 2012. It’s been recognized by publications such as GQ and Zagat as being one of the top craft beer havens in the U.S., making it a must-visit destination for beer connoisseurs of all levels. The following year saw the debut of two more Vetri Family restaurants: Pizzeria Vetri, the group’s most casual eatery to date, and a second location of Osteria in Moorestown, NJ, the group’s first restaurant outside of Philadelphia. Similarly to their predecessors, these restaurants have quickly become fixtures in their respective neighborhoods, earning high marks across the board from diners and critics alike. Pizzeria Vetri was named to GQ’s 2014 list of “Top 25 Best New Restaurants” in the country. In October of 2014, a seventh restaurant joined the Vetri Family ranks. Lo Spiedo serves a casual Italian-inspired menu with a focus on spit-roasted meats. It is located in Philadelphia’s up-and-coming The Navy Yard district. This year also includes the expansion of the flagship Vetri. The restaurant now encompasses two floors, making it available for private events and accommodating larger parties. The new Vetri space includes a test kitchen, allowing Marc and his fellow culinary partners a place to develop and explore new dishes and menus. Marc is the author of Il Viaggio di Vetri (Ten Speed Press, Oct. 1, 2008) a collection of more than 125 of Vetri’s most-requested dishes. His second cookbook, Rustic Italian Food (Ten Speed Press, Nov. 1, 2011), brought artisan cooking into home kitchens and was named one of the top cookbooks of 2011 by such outlets as Bon Appetit, St. Petersburg Times and The Huffington Post. His third cookbook, Mastering Pasta (Ten Speed Press, 2015), will be released in March of 2015. In addition to his cookbooks, Marc’s writing can be found on The Huffington Post where he is a regular blogger. Outside of his restaurants, Marc is deeply passionate about giving back to the community, in particular his hometown of Philadelphia. In 2009, he and Jeff Benjamin created the Vetri Foundation for Children. The foundation’s signature initiative, “Eatiquette,” is a school lunch improvement program in which children experience the connection between healthy eating and healthy living. The program currently services 11 schools and two camps, and has served more than 300,000 healthy meals. Additionally, Marc and Jeff are the founders of the “Great Chefs Event,” which brings together scores of the country’s greatest chefs to raise money and awareness for the pediatric cancer charity, Alex’s Lemonade Stand Foundation and The Vetri Foundation. Marc also gives his time to his alma mater, Drexel University, where he’s been a regular guest lecturer and adjunct faculty member.